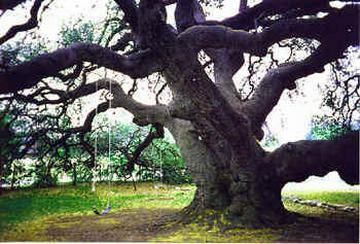 On this tour you will enjoy scenic views & see some National Champion & Co-champion Big Trees with our Guided Driving/Walking Tour. Your Adventure takes place on private properties & ranches in our area; places not open to the general public. 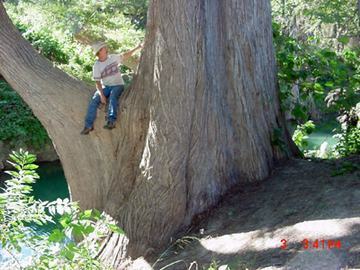 Some of these trees grow near the river & you will also see crystal clear Rivers and miles of Beautiful rugged Hill Country. 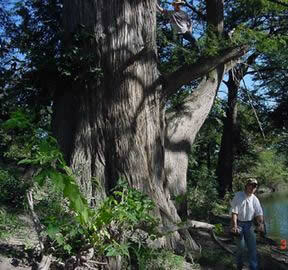 With our Entertaining & Educational Big Tree Tour you will be amazed by the size of these Giant Texas sized Trees. If you are interested; Your guide will also point out critters, birds, plants & flowers along the way. 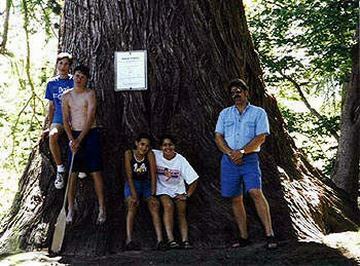 Have your camera & binoculars ready for our guided Big Tree Tour. Where you can catch a glimpse of some of the many wonderful Specialty Birds & Butterfly found in our area; Plus White-tail, Axis deer, lizards & many other critters. In nature you never know what’s waiting around the next bush or Big Tree! It will take about 5 min. from Garner State Park, 15 min. from Neal’s Store in Concan, 25 min. from Vanderpool, 15 min. from Utopia, 15 min. from Leakey, 40 min. from Uvalde. From Hwy 83 & FM 1050 intersection; East on to FM 1050 which goes to Garner State Park & Utopia, go 5 miles on FM 1050, Don’t go past Blanket Creek sign on right, our signs are on left at our entrance – Rio Frio Lodging & Hill Country Nature Center; come in & park in parking area behind Cedar Office building. From Utopia & 187; south end of Utopia, go west on FM 1050 toward Garner Park, go 10 miles, from Blanket Creek it’s the 3rd entrance on the right, our signs say Rio Frio Lodging & Hill Country Nature Center; come in & park in parking area behind Cedar Office building. *Your Guide will meet you in the Office or on the Porch. If you have room in your car the Guide can ride with you. This cuts down on our liability, plus we can talk to you along the way & point out birds or interesting sites. Let us know if you are interested in reserving other Tours to see our ‘Bluebird Nestbox Trail’ with nests, eggs or baby bluebirds & other small cavity nesting birds, or in going Birding in our Special part of the Hill Country. Click here for a flyer of this Tour. You'll need Adobe's Free Reader to view it.